When we refer herein to “BODUM®,” “we,” “us,” or “our,” we mean Bodum USA, Inc. or the specific division, subsidiary or affiliate that operates this Site, provides its content, or processes information received through it, each as appropriate and applicable. When we refer to “you” or “your,” we mean the person accessing this Site. If the person accessing this Site acts on behalf of, or for the purposes of, another person, including a business or other organization, “you” or “your” also means that other person, including a business organization. You may download, print and store selected portions of the content of this Site provided that you (a) only use these copies for your own personal, non-commercial use, (b) do not copy or post the content on any network computer or broadcast the content in the media, and (c) do not modify or alter the content in any way. No right, title or interest in any downloaded materials is transferred to you as a result of any such downloading, printing or storing. BODUM® reserves complete title and full intellectual property rights in any content you download, print or store from this Site. Except as noted above, you may not copy, download, reproduce, modify, publish, distribute, transmit, transfer or create derivative works from the content without obtaining written permission from BODUM® in advance. These Legal Disclaimers shall be governed by and construed under the laws of the United States, without regard to conflict of laws principles. Any legal action with respect to any use of the Sites must be commenced within one year after the cause of action has arisen, and any actions shall be exclusively decided by the state or federal courts of competent jurisdiction in New York, New York USA. You agree to submit to the jurisdiction of these courts and waive any claim that venue is improper for any reasons in these courts. 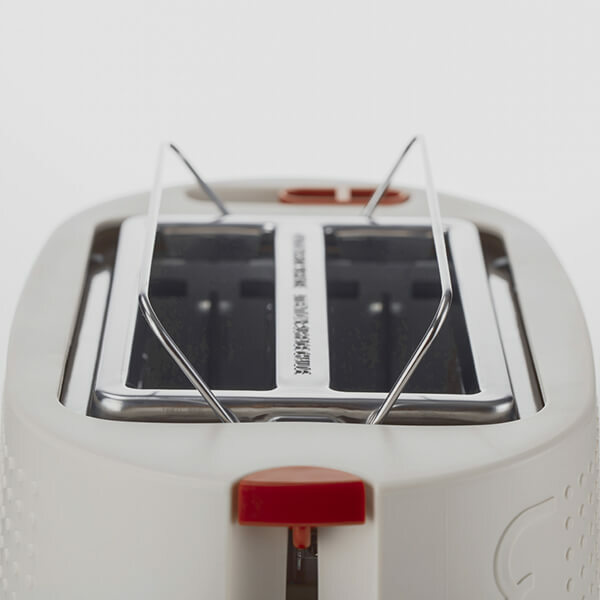 This Site may use hyperlinks as a convenience to you so that reference material, BODUM®-related subjects and other pertinent material is easily accessible. Linked and referenced websites may not be operated, controlled or maintained by BODUM®. Hyperlinks and references to other websites, including any BODUM®-affiliated entity, do not constitute sponsorship, endorsement or approval by BODUM® of the information, content, products, services, policies or practices of such linked or referenced websites. 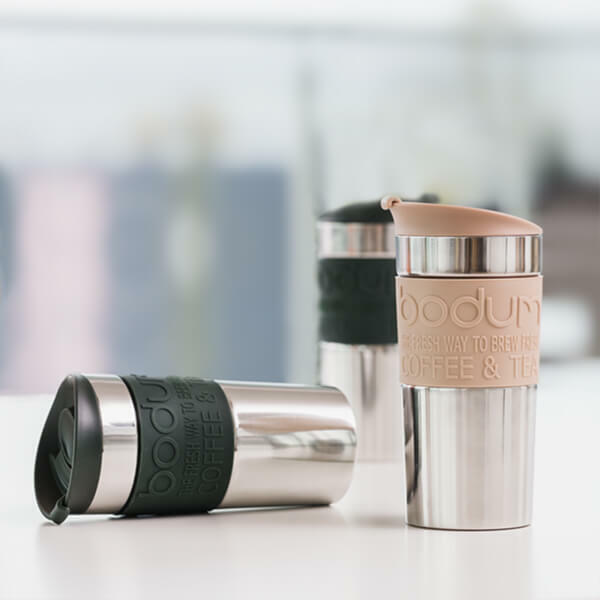 BODUM®, its subsidiaries, affiliated companies and Suppliers do not accept any responsibilities for any information, content, products, services, policies or practices, or any availability or use of, such websites. You access, browse and use such websites at your own risk. BODUM® has no obligation to update any information or content on this Site. 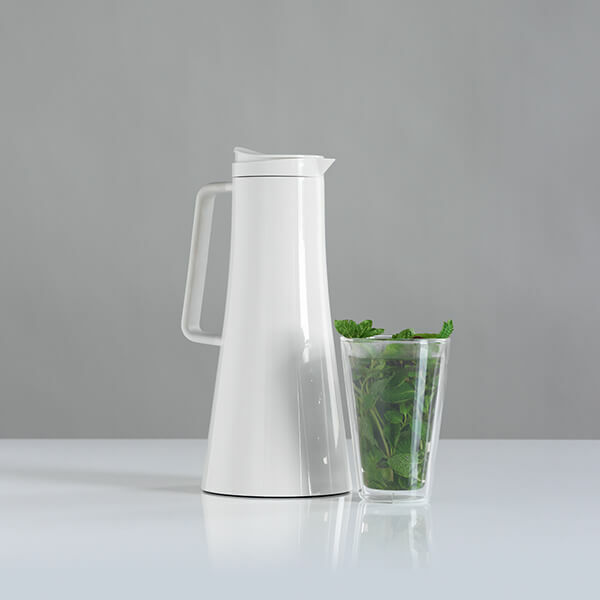 Accordingly, BODUM®, its subsidiaries, affiliated companies and suppliers assume no responsibility regarding the accuracy of the information or content provided on this Site. Any use of the information or content provided on this Site is done so at your own risk. This Site shall not be considered a solicitation or offering for any product or service to any person in any jurisdiction where such solicitation or offer would be unlawful. General Disclaimers. YOU ACKNOWLEDGE THAT YOUR USE OF THIS SITE AND/OR BODUM® SERVICES IS AT YOUR SOLE RISK, AND THAT YOU ASSUME FULL RESPONSIBILITY FOR ALL RISK ASSOCIATED THEREWITH. 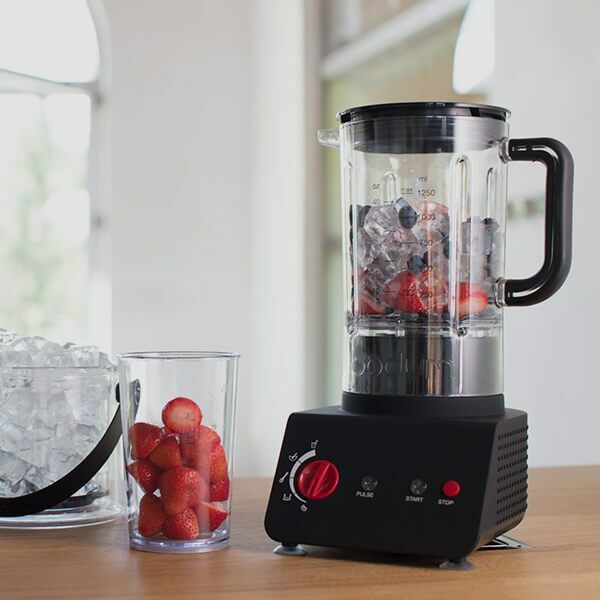 ALL INFORMATION, PRODUCTS OR SERVICES CONTAINED ON OR PROVIDED THROUGH THE SITE ARE PROVIDED “AS IS” WITHOUT ANY WARRANTY OF ANY KIND, EXPRESS OR IMPLIED, EXCEPT FOR THE BODUM® PRODUCT WARRANTY https://www.bodum.com/us/en/warranty-returns/ OR AS OTHERWISE PROVIDED UNDER APPLICABLE LAW. TO THE FULLEST EXTENT PERMISSIBLE UNDER APPLICABLE LAW, BODUM® AND ITS MEMBERS, AFFILIATES, DIRECTORS, OFFICERS, MANAGERS, EMPLOYEES OR OTHER REPRESENTATIVES (COLLECTIVELY, “AFFILIATES”) HEREBY DISCLAIM ALL REPRESENTATIONS AND WARRANTIES, EXPRESS OR IMPLIED, STATUTORY OR OTHERWISE, INCLUDING BUT NOT LIMITED TO WARRANTIES OF MERCHANTABILITY, FITNESS FOR A PARTICULAR PURPOSE, TITLE, NONINFRINGEMENT AND FREEDOM FROM COMPUTER VIRUS STRAINS. 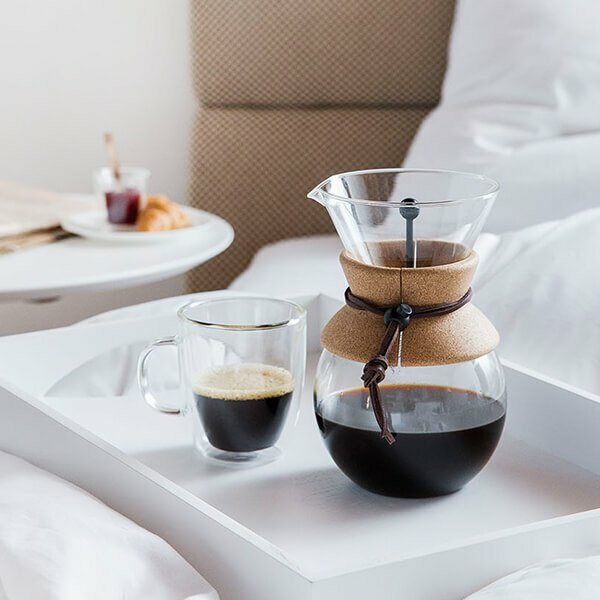 WITHOUT LIMITING THE FOREGOING, BODUM® AND ITS AFFILIATES MAKE NO WARRANTY AS TO THE RELIABILITY, ACCURACY, TIMELINESS, USEFULNESS, ADEQUACY, COMPLETENESS OR SUITABILITY OF BODUM® SERVICES PROVIDED HEREUNDER. Limitation of Liability. TO THE MAXIMUM EXTENT PERMITTED BY LAW, IN NO EVENT SHALL BODUM® OR ANY OF ITS AFFILIATES BE LIABLE FOR ANY DIRECT, INDIRECT, SPECIAL, PUNITIVE, INCIDENTAL OR CONSEQUENTIAL DAMAGES, INCLUDING BUT NOT LIMITED TO PERSONAL INJURY, WRONGFUL DEATH, LOSS OF USE, LOSS OF PROFITS, INTERRUPTION OF SERVICE OR LOSS OF DATA, WHETHER IN ANY ACTION IN WARRANTY, CONTRACT, TORT (INCLUDING BUT NOT LIMITED TO NEGLIGENCE OR FUNDAMENTAL BREACH), OR OTHERWISE ARISING OUT OF OR IN ANY WAY CONNECTED WITH THE USE OF, OR THE INABILITY TO USE, THIS SITE OR ANY MATERIAL OR INFORMATION CONTAINED IN, OR ACCESSED THROUGH, THIS SITE, EVEN IF AN AUTHORIZED REPRESENTATIVE OF BODUM® IS ADVISED OF THE LIKELIHOOD OR POSSIBILITY OF THE SAME. Your sole and exclusive remedy against BODUM® is to discontinue use of this site and any hyperlinked sites. TO THE EXTENT CERTAIN JURISDICTIONS RESTRICT ANY OF THE ABOVE LIMITATIONS OF LIABILITY, SUCH LIMITATIONS SHALL NOT APPLY IN SUCH JURISDICTIONS TO THE EXTENT OF SUCH RESTRICTIONS. 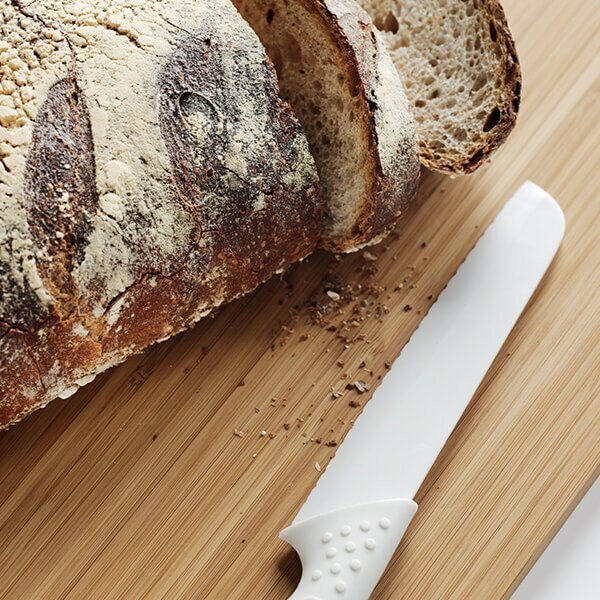 All contents of this Site are © 2017 Bodum USA, Inc. All rights reserved. BODUM® names and logos are either registered trademarks or trademarks of BODUM® in the U.S. and/or other countries. Other logos and product and company names mentioned herein may be the trademarks of their respective owners. BODUM® is not responsible for content on websites operated by parties other than BODUM®. 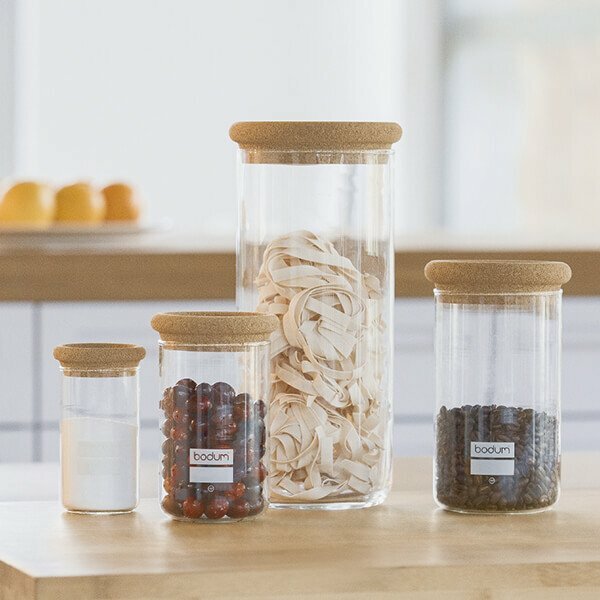 Use, reproduction, copying, or redistribution of BODUM® logos is strictly prohibited without written permission from BODUM®. 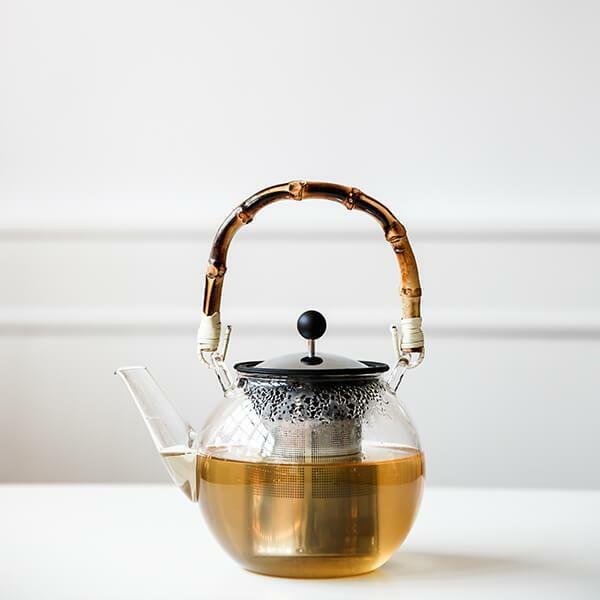 If your organization has a pre-existing agreement with BODUM® for use of such logos, that agreement, along with the specific guidelines for each logo, will specify your rights and obligations regarding use of BODUM® logos. If you do not have an agreement with BODUM® allowing you to do so, you do not have permission to use BODUM® logos. If you are aware of an infringement of our brand, please let us know by e-mailing us at email . Please Note: We only address messages concerning brand infringement at this email address. NOTICE OF IMMUNITY FROM LIABILITY FOR CONFIDENTIAL DISCLOSURE OF A TRADE SECRET TO THE GOVERNMENT OR IN A COURT FILING. Notwithstanding anything herein to the contrary, under the Federal Defend Trade Secrets Act of 2016, an individual may not be held criminally or civilly liable under any federal or state trade secret law for the disclosure of a trade secret that (A) is made: (i) in confidence to a federal, state, or local government official, either directly or indirectly, or to an attorney; and (ii) solely for the purpose of reporting or investigating a suspected violation of law; or (B) is made in a complaint or other document filed in a lawsuit or other proceeding, if such filing is made under seal. An individual who files a lawsuit for retaliation by an employer for reporting a suspected violation of law may disclose the trade secret to the attorney of the individual and use the trade secret information in the court proceeding if the individual files any document containing the trade secret under seal and does not disclose the trade secret except pursuant to court order. Nothing herein is intended, or should be construed, to affect the immunities created by the Defend Trade Secrets Act of 2016. (916) 445-1254 or (800) 952-5210.